But the teammate was Jackie Robinson, the African-American infielder who that afternoon was breaking the sport’s color barrier. 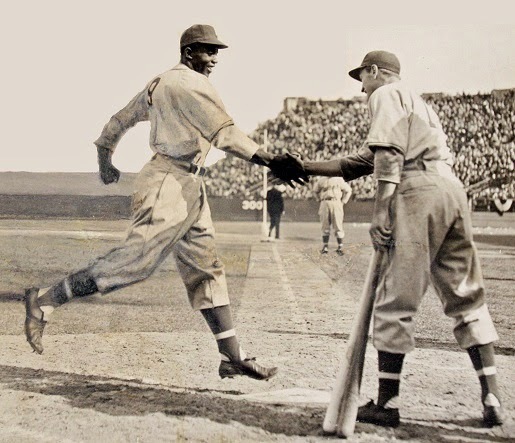 Photographers captured a smiling Robinson shaking hands with Shuba after Robinson’s three-run home run in the third inning against Jersey City pitcher Warren Sandell. Only seconds before the handshake, the Montreal third-base coach conveniently turned his back and walked away from the base. Shuba didn’t give his actions a second thought. "spraying line drives (like when you shoot a shotgun) with a swing so compact that it appeared as natural as a smile".